Are you avoiding hiring for your business? Oye… just thinking about scouring through websites, proposals, and qualifications of strangers is enough to send most entrepreneurs back to the drawing board. ➡️ But that does NOT mean you have to do it all alone. If you are going to scale, it is imperative that you escape from the mindset that you need to do everything yourself. A lot of entrepreneurs believe that hoarding all the tasks is saving them money and making them more profitable, but it’s not. It’s just burning you out and slowing eating away at the *joy* that comes from running your own business. 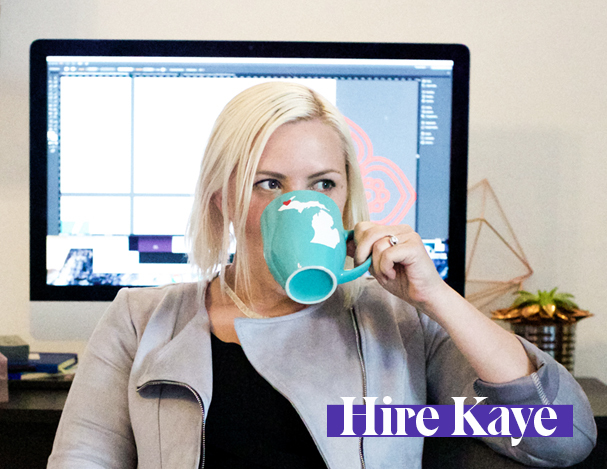 Now, that being said…if you ARE ready to make the leap… Let’s talk hiring. You’re ready to hire. You KNOW you need more help in your business. You cannot continue with your current limited bandwidth. There’s *way* too much stuff to do! You’re on a path of growth and want to keep scaling your business for success. 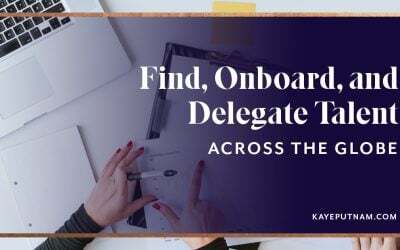 You need to figure out how to better systemize that the entire hiring and delegating process. Hey, wait a minute there! Did I lose you at “systemize?”… C’mon back to me, dear reader! Just because I’m going to start talking about systems doesn’t mean you get to close out this tab and move about your day 😉 When I say systems, people tend to glaze over. Many people think systems only apply to the back-end items… publishing blogs, scheduling social media posts, or onboarding a new client. 📌 Pin this article to reference later! This, my friends, is the place where business owners often get hung up. They don’t understand the fundamental differences between two types of hires. The implementers – a.k.a. the people who get the stuff done. And more often than not, those two are NOT the same thing. So, let’s review the basic definitions. The experts are highly specialized and, as you can imagine, usually a lot more expensive to bring in. (Side note: You can actually sometimes sub courses, programs or coaching in for this expert role.) Basically, this is the education or individual(s) that help you make strategic decisions about the future of your business. The implementers, however, are the ones creating on your behalf. They’re writing, designing, sending invoices, responding to emails…producing work. 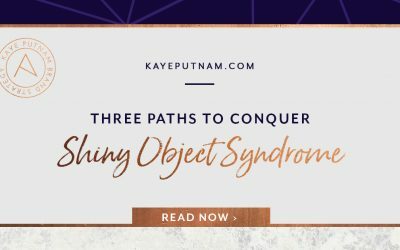 They’re in the trenches ensuring that you get the day-to-day tasks done – so you can concentrate on work in your zone of genius. The key is to utilize both implementers and experts – when and where appropriate – to maximize the work that gets done in your business. b) capitalize on applying these decisions to your business with the help of implementers. My Clarity Code program is a good example of this. 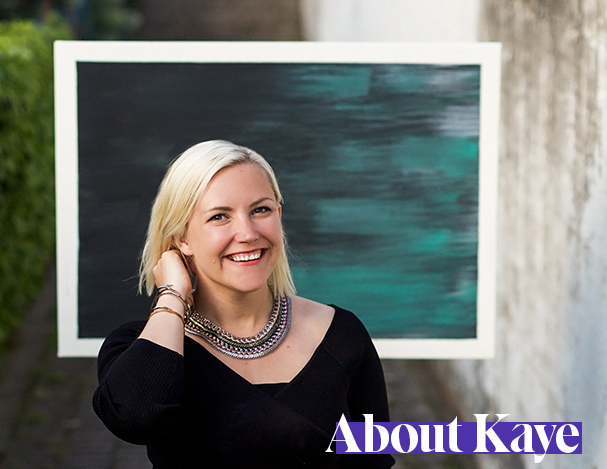 My clients bring me – the expert – in when they need to figure out how to define and delegate their brand. The Clarity Code is an 8-week process in which I’m the person that’s facilitating this deep dive experience for the client. I help them see themselves more clearly and apply their strongest personality traits and values to build their psychology-driven brand. I’m helping them reach a very specific desired outcome. BUT, I’m the expert. I’m not the person in the trenches pulling everything together – that’s a job for their team. I’m working with the CEO doing this high-leverage work – so they can hire implementers down the road to ensure a clear and consistent brand experience moving forward. After the eight weeks… we’re done. Their job is to find implementors (copywriters, designers, virtual assistants, etc.) that can apply this new brand strategy to every area of the business. So if you need to decide where to go, consider purchasing a course or hiring an expert to help you figure things out. In my many years behind the scenes with brands of all sizes, I often see a big mistake made at this critical point. It’s a costly error to expect your implementers to *also* be your experts. 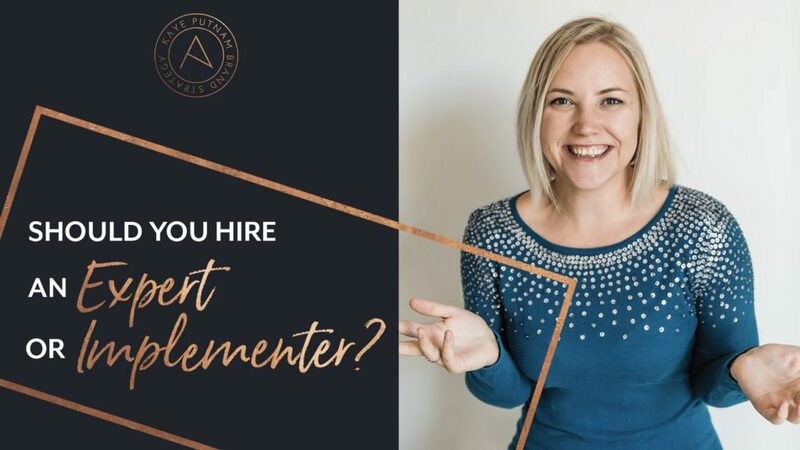 You can’t generally hire implementers (at an implementer’s price) and expect them to provide you with long-term vision. You have to empower them to do their best work and to do it up to your standards – because you are the visionary. You are the person who is deciding what your brand stands for and what you are going to be in this world. So how do you do that? How do you empower implementers to do their best work? How do you define how you are going to show up in the world? 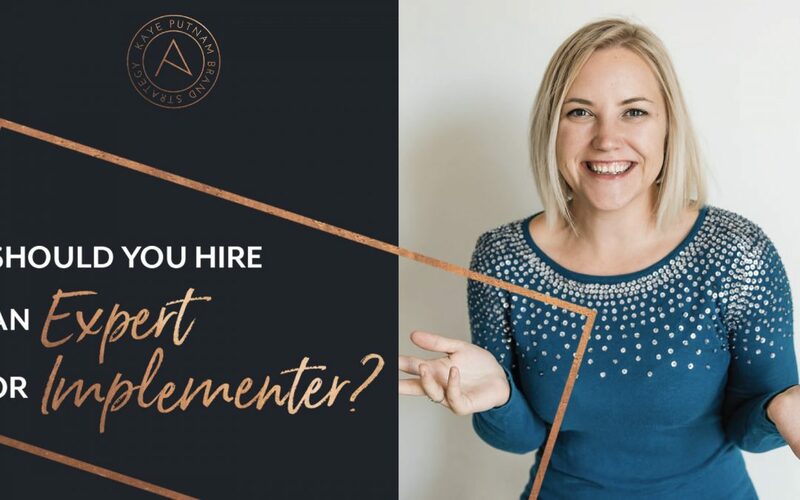 Entrepreneurs start out by hiring implementers. BUT, many times, they expect them to be experts. Since they’re not experts, the contractors are usually forced to piece information together – because there is no clear direction. This usually leads to micro-managing and LOTS of revisions. Everyone ends up frustrated. At the end of the day, the work isn’t up to the standard you desire. Establishing those standards first. Whether you use an expert or not. It’s *essential* that you define and document your business standards. Then, and only then, do you hire implementers to do the ongoing day to day work – the business of building your brand every single day. First, you have to figure out what your strategy is in the first place. Set that standard. Sometimes you even have to hire a high-end designer the first time around to, again, set the (visual) standards for your brand. Then, moving forward, you can hire less experienced designers to produce the day-to-day work. This model actually *maximizes* your investment. This puts your money where it REALLY counts. You have the short term strategy and documentation you pay the expert for – and then you hire the long term implementers at a lower price point. And the best part? You’re empowering these long-term implementers to do their best work with minimal input from you. Because you’ve taken the time to document your standards for visuals, messaging, content, and processes. 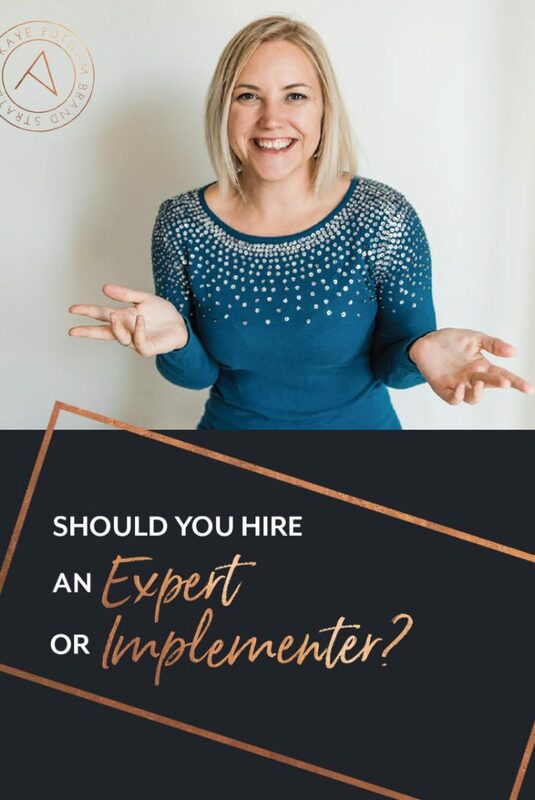 If you’re expecting your implementers to also be experts, it’s time you separate those two very different roles within your brand. When you separate the standard “setting” from the standard “meeting,” everyone is going to be happier and more fulfilled. You will get better results, and you’ll pay less for those results in the long run. Plus, you get to tap into *more* people’s respective geniuses. No more relying on one single designer who is the only person that can produce on behalf of your brand. (What happens when he is *very* busy in a particular week that you need a graphic designed *now*?) 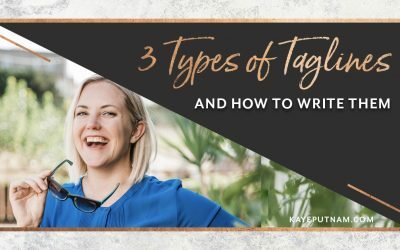 Instead, you can bring in multiple people that can easily produce high quality, on-brand work – because they have easy access to your standards and identity. Now, doesn’t this sound like brand utopia? This is why I do what I do. This is why I nerd out on unlocking the genius from your brain – and getting it out to your team so they can tap into it. This is how I help entrepreneurs scale and make a bigger impact. Are you ready to do this with me? If so, you can learn more about my 1:1 program – and apply for a Clarity Call here.